EUROPEAN UNION INSTITUTIONS have reached a deal on the 2014 Budget after tough overnight negotiations. Under a compromise agreement, the budget will include €135.5 billion in payments and €142.6 billion in commitments. The figure for payments represents a decrease of 9.4 per cent compared to 2013. Lithuania, which currently holds the rotating EU presidency, chaired the conciliation talks between the three institutions: the the 28 member states, the European Parliament, and the executive European Commission. Austerity-minded governments had been hoping to keep the 2014 figure under €135 billion, while the parliament wanted it to be €136.44. “I believe that today’s agreement on the 2014 EU budget is a good start for the new programming period”, Lithuania’s Vice-Minister for Finance Algimantas Rimkunas said. The compromise, which comes a day ahead of a Wednesday deadline, paves the way for the European Parliament to adopt the EU’s long-term trillion-euro budget for 2014-2020. A vote on the seven-year budget, known as the Multiannual Financial Framework, was postponed to 19 November because of the row. The 2014 Budget is the first to be held as part of the MFF. Negotiations surrounding a €400 million fund for flood and drought damage were one of the main stumbling blocks in the marathon talks. It was finally agreed that €250 million of the amount would be financed by redeployments in the 2013 Budget, with the remaining €150 million to be found in 2014 . Germany will be the largest benefactor from the flood repairs fund, getting €360.5 million. Austria will receive €21.7 million, the Czech Republic €15.9 million, while Romania, which suffered a drought, will get €2.5 million. 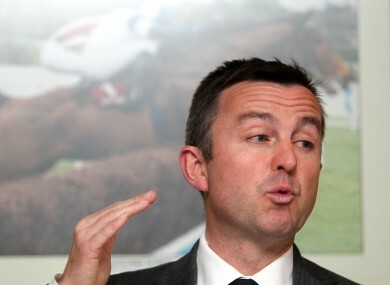 Junior finance minister Brian Hayes represented Ireland at the Brussels talks. Email “EU Budget for 2014 agreed after marathon overnight talks”. Feedback on “EU Budget for 2014 agreed after marathon overnight talks”.